about the book called secret!! Where can Treasure hide? India has an idea. She has been reading the diary of Anne Frank. Couldn’t Treasure take refuge in India’s attic, just like Anne Frank did? Told through the secret diary entries of India and Treasure, this is a warm and inspiring tale of friendship in troubled times. this is a great book and nearly all my friends have read this book. This book is wonderful and I really liked it. I thought it was fun and the dual diary idea was original. I like how they teach us about Anne Frank. good but a little scary. This book is amazingly written. 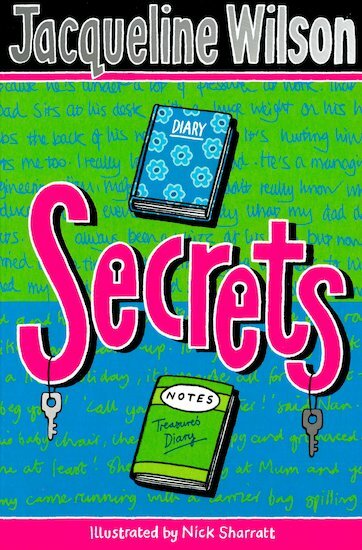 This book is quite dramatic at the start and it gets your heart rate up, Jacqueline Wilson is a fantastic writer to able to make her readers feel like something’s real! I find this book quite touching as they twist Anne Frank in the story as a role model. This book is an amazing read to anyone who is 10+. As younger readers may find a bit of this book a little scary. This is like a modern day Anne Frank diary! Excellent! I love how the chapters switcch characters. Loved the fact that there were two different point of views. Very good, exciting, interesting, great! 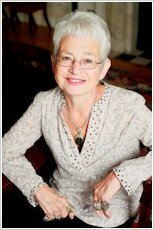 Out of five stars’ i would give this book 4-Its not that i don’t like it, its just that its not the best Jacqueline Wilson book. And it didn’t really make me want to keep reading. This book is about two girls who come from a very diffrent background. When they met they bond at once-India decides to walk thought the estate where Treasure lives. I like thi book because it shows how people can be firneds no matter what background they come from. Its emotional, realstic and i would definately recomend it. Good book!!! Love u Jacky!! It Was A Great Book! I Thought Treasures Step Dad Was A Bit Harsh Wacking A Belt Across Her Hed!! I Really Felt For Her And India In The Book! Its A Bit Risky Wen India Hides Treasure In The Loft But Thats Wat Friends Do Right??? Jacquline Wilson wrote this book brilliantely and I think I am like both Treasure and India. I absolutely LOVED Treasure’s gran, and she’s a bit like my gran!! !